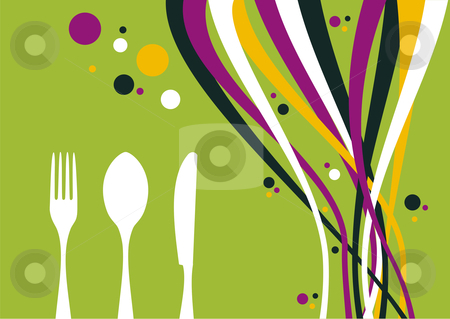 Spoon, fork, knife and multicolored waves on lime background. Food, restaurant, menu design with cutlery and bubbles silhouettes. Vector file also available.